In my part of the world, there’s an entire public holiday built around a particular emotion: gratitude. In 2015, Thanksgiving Day falls on October 12 for us Canadians and November 26 for our American neighbours. Although this year I’m not home cooking a traditional turkey (I’m off travelling in Romania! ), I wanted to wish all of you the best for this day, and to send you my hopes that you have plenty in your lives to feel happy about. And (no surprise here!) I can’t resist linking the emotion of gratitude to TOK class discussions. 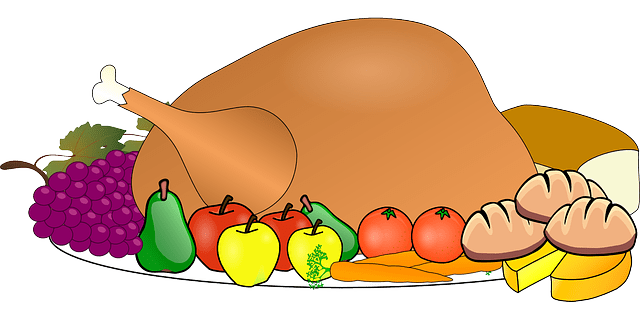 In some contexts, including the historical basis of the North American Thanksgiving holiday, people express gratitude to a Supreme Being for many aspects of life. If you’re dealing with religious knowledge as a TOK topic, you might find that the concept of “gratitude” gives an interesting entry point into comparing attitudes toward the relationship of humans and gods in different religious worldviews, and thereby broaching justifications for sets of religious knowledge claims. However, the thankfulness associated with the day has also found wide resonance in a secular society. Even atheists speak of counting their blessings, in the sense of consciously appreciating the positive features of their lives, whatever they may be. As a result, I will take my text for today not from a Holy Book but from the Harvard Mental Health Letter, and will offer not profound thoughts but a few TOK knowledge questions instead. To what extent does emotion as a way of knowing act not alone but in concert with other TOK ways of knowing? In what ways can emotion (example: gratitude) influence sense perception, for example, or memory? For religious people, how does emotion as a TOK way of knowing (example: gratitude) interact with faith as a TOK way of knowing? To what extent does “emotion” as a way of knowing act as a concept, with a name, to group a set of unlike or even conflicting experiences? What is the usefulness to the human science of psychology of having this general concept called “emotion”? Can the two clusters of questions above be applied similarly to sense perception, reason, and memory? What about the other TOK ways of knowing? What are the differences between coincidence, correlation and cause? How can we prove that one situation or event causes another? Why are scientific laws characteristic of the natural sciences but not the human sciences? Taking questions like these about gratitude and emotion into a TOK class is easy enough – though probably more effective if introduced not just by my Harvard Mental Health Letter “text for the day” but also by anecdotes or personal stories. But today I simply offer a few ideas – and leave all that preparation to you. After all, I’m on holiday. And, I would add, I’m grateful to be so! ← The A-Z of Railhead. K is for K-Bahn….